The LI ROYALS would like to thank all the players that attended our Tier 1 AAA tryouts for the 2019-2020 season. Please click on the links below to see the list of players selected for the team at each level. Players not listed on the below rosters are encouraged to attend our "A" Milner and Superior Knights Tryouts. Click link for dates , times and application. Please note, that if you are trying out for a ROYALS team from another LIAHL organization, that a signed, original release must be presented at the tryout. Click on links above for dates and times. Please go to our tryout page for more information. Congratulations to the following teams on winning their Tier 1 'AAA' LIAHL Championship games. Congratulations to our PW A team on winning the 12U Silver Division EJEPL Championship Defeating Toms River NJ 2-1 in the finals. The team went on a 4-0 winning streak in the playoffs to capture the title. The Long Island Royals Tryout dates for the 2019-2020 season are listed during the weeks below. Exact Times and dates will be released at a later time. Keep checking the website for tune up clinics and tryouts dates. The Long Island Royals Youth Hockey Club is seeking experienced Head and Assistant Coaches for the 2019-2020 season. The Royals have youth teams for players 5-18 years old. Our clubs strive to foster an environment that promotes personal growth, character and athletic development. Royals Head and Primary Assistant Coaches for Squirt-Midget receive a coaching stipend. Congratulations to the LI Royals Squirt A team, winning the Haunted Shootout Squirt A Division Championship with a 3-2 OT Finals Win vs the Ramapo Saints. 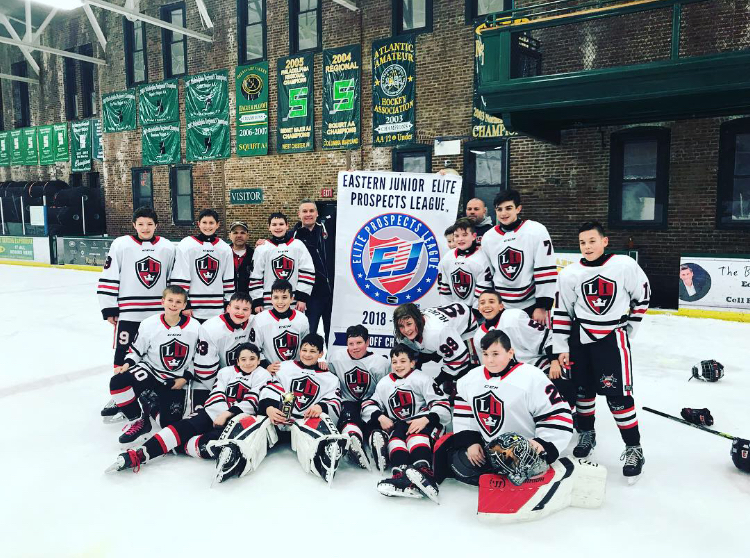 They scored 23GF and only allowed 10GA, going 5-0 beating The NS Shamrocks ‘08, Jersey Colts, NJ Colonials , Rye Rangers and Ramapo.